We are a Licensed & Insured DJ Company. "National Presidential Award" from The Canadian Professional DJ Association. 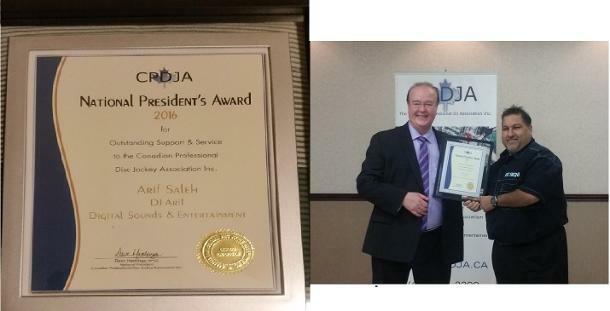 Dave Hastings, National President of The CPDJA, Awards DJ Arif and his Company for this Prestigious Title & Award. DJ Arif Thanks All His Family, Friends, Supporters, Previous & Future Clients! We Serve the Surrounding GTA areas. We also do regular events across Ontario & across Canada; so, we're always ready for a Road Trip. If music matters to you @ your destination wedding event - take us and we WILL ROCK YOUR GUESTS there, like we always do! 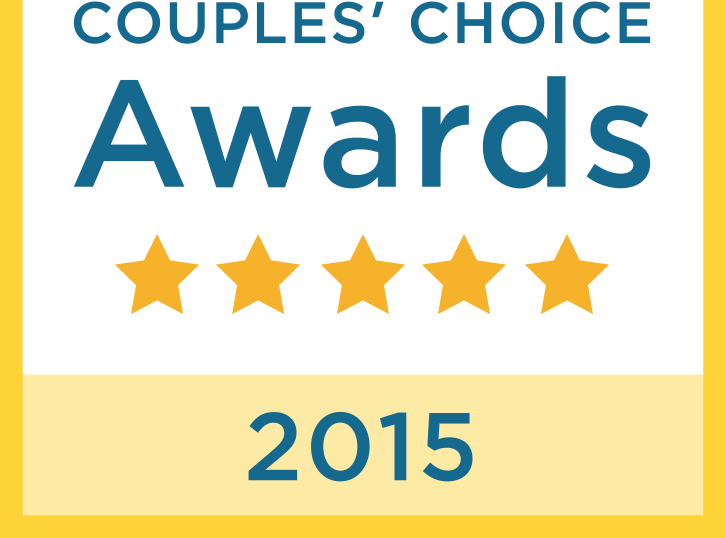 We work with Destination Wedding couples/planners. 80% OF EVENT SUCCESS DEPENDS ON THE ENTERTAINMENT! 72% OF TODAY'S BRIDES HIRE DJ COMPANIES FOR ENTERTAINMENT! 63% OF GUESTS WON'T REMEMBER THE FOOD THEY HAD! OVER 81% OF WEDDING GUESTS REMEMBER THE EVENT & PARTY ABOVE ANYTHING ELSE. Weddings & Planning a Wedding Are Expensive, Choose Your Entertainment Wisely! Affiliates with Fuzion DJ, Fuzion Event Group, GTA DJ Services, CanadianBride.com, TodaysBride.ca, Frugalbride.com, WeddingWire.ca, Good Vibrations DJ Services, DJ Emporium, and BB Blanc. Festive Events DJ, GUJU WEDDING DJ, GUJARATI WEDDINGS DJ, GUJU DJ, Gujarati DJ, Festive Party DJ, Holiday Party DJ, Markham's Finest DJ's, Toronto Finest DJ's, Mississauga's Finest DJ's, Toronto's Best DJ's, Best DJ Talent, Birthday DJ, Anniversary DJ, Christmas Party DJ, Toronto DJ, Christmas DJ Toronto, Digital Sounds, GTA DJ Services, Fuzion Music, Fusion Sounds DJ Bar Mitzvah DJ Affiliate, Fuzion DJ Toronto, Good Vibrations DJ Affiliate, BB Blanc DJ Affiliate, Female DJs Available, DJ Across GTA, Female DJ Toronto , Female Indian DJ, Female Muslim DJ, Toronto Fuzion DJ, GTA Area DJ, TOP40 DJ, Club DJ, Bollywood DJ, Indian DJ, Muslim DJ, Punjabi DJ, Bhangra DJ, Toronto Wedding DJ, Wedding DJ Toronto, Mississauga, Markham, Brampton, DJ Fuzion, DJ Fusion! Wedding DJ Toronto, Special Events DJ, Mainstream DJ, Bollywood DJ, Club DJ! We have team of Indian DJ's, Canadian DJ, West Indian DJ, Reggae DJ's, Soca DJ's, Calypso DJ, Top 40 DJ.